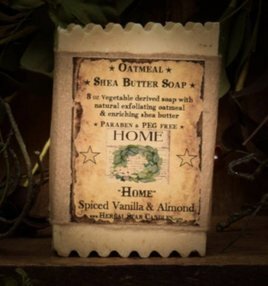 The Home Oatmeal Shea Bar of Soap is a blend of spiced vanilla & almond. The oils used are natural & skin safe. 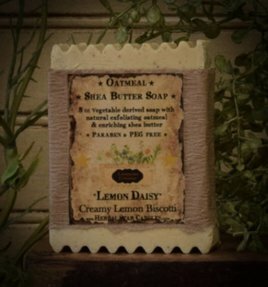 It's a great size of 8 oz and is a vegetable derived soap made using Natural Oatmeal & Shea Butter. It is Paraben and PEG free.